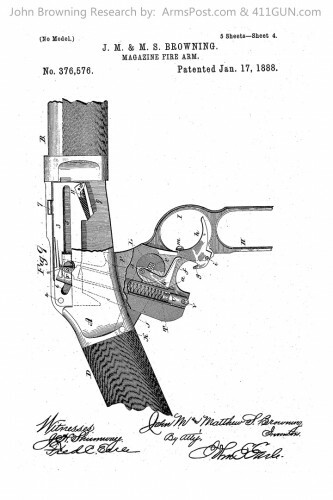 John Moses Browning was granted US Patent 376576 on January 17th, 1888 for this design. 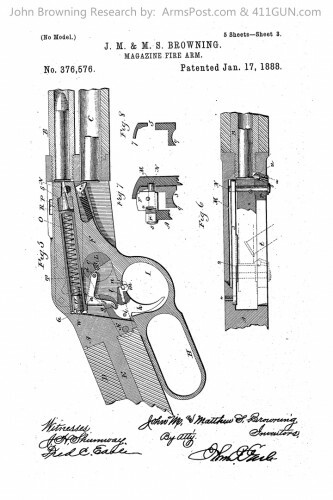 He had applied for this Patent on November 2nd, 1887. 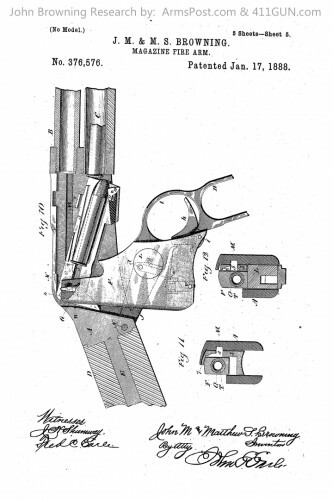 The patent was categorized under Magazine Firearm. 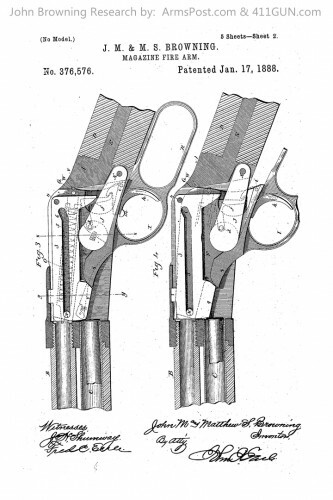 This design was for an absolutely beautiful lever action rifle. 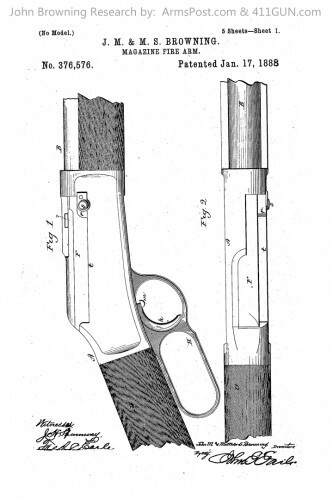 The rifle was chambered in .45 caliber and purchased by Winchester. Unfortunately, Winchester would never send this particular design to be manufactured.